Madd Colors Carnival…who are they? Our mission is to grow as a mas band spreading cultural awareness while supporting and helping children affected by EOE (Eosinophilic Esophagitis). In 2014 we decided to push our creative limits with our theme 'The Apocalypse'. An electrifying portrayal of the end of days. Once again our costumes made a huge impact, and breaking our own record, this time all sections was gone in two days. 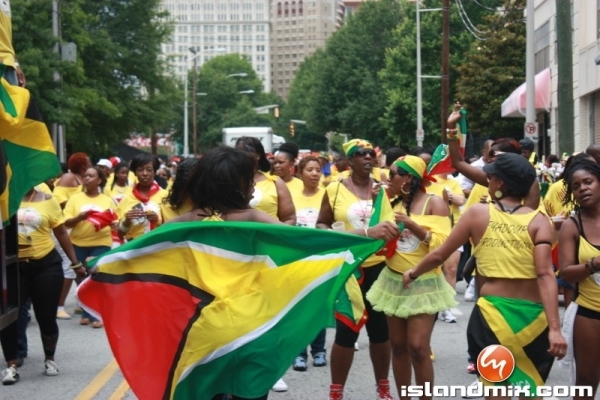 We took to the streets of Atlanta almost 500 strong, with style, color and splendor. The vibes and energy on the road was amazing, and feedback from our masqueraders confirmed that this was the best year yet! Houston felt the apocalypse too, and after the dust settled, we walked away with our second consecutive 'band of the year' title. 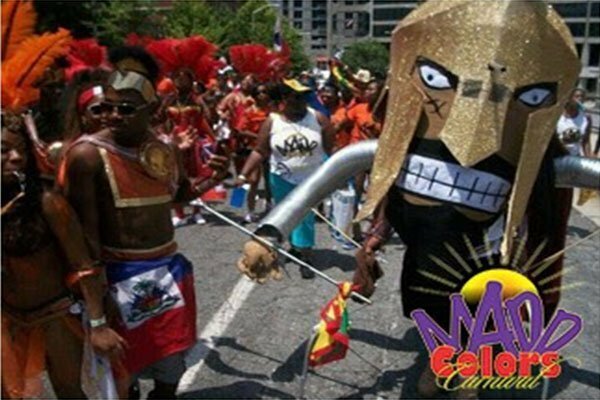 Later on in 2014 Madd Colors was nominated for 'favorite mas band' and, 'best front line costume' in Atlanta, by DaSocaScene.com, and won both categories. The blessings continued to flow and shortly afterwards Madd Colors won for a second time the award for 'best costume band 2014' by the Houston Caribbean Achievements Awards. In 2013 we decided to bridge the gap between fantasy and reality, and took our masqueraders on a magical journey to 'Wonderland'. Enthusiasm to participate with Madd Colors was at an all time high, and that year we broke all records in Atlanta, with all our costume sections being sold out in a record 3 days! Hundreds of masqueraders swarmed the Atlanta streets with beautiful vibrant colors, and high energy, earning us the 1st runner up position for band of the year. After all the ATL fun, we took to the streets of Houston. Adorned in feathers and jewels, our Houston masqueraders pounded the road and made an impression on the judges, That year for the first time, Madd Colors won the 'band of the year' title. What a truly magical moment that was. That same year Madd Colors was nominated, and won the award for the 'Best Costume Band 2013,' by the Houston Caribbean Achievement Awards. In 2012 we unleashed 'Sparta'. An epic tale portraying 300 mighty warriors, who was prepared to fight to the end, for the sake of honor and glory. That year Madd Colors grew significantly in numbers, and for the first time, we entered the king and queen of the band competition. Conquering all, we took home 1st place in the king category. 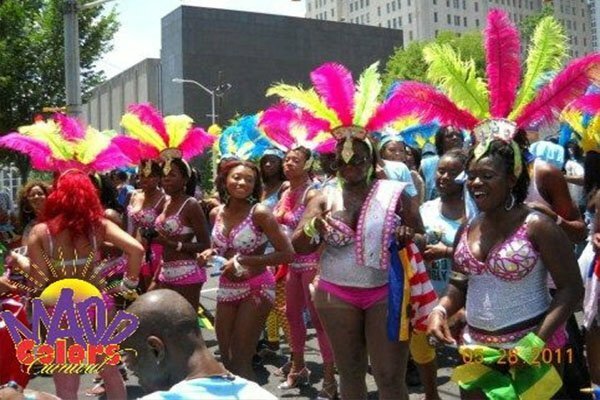 That year our beautiful masqueraders dominated the streets of Atlanta. They made a statement that could no longer be denied. Madd Colors was now one of Atlanta's top mas bands. The momentum didn't stop there. 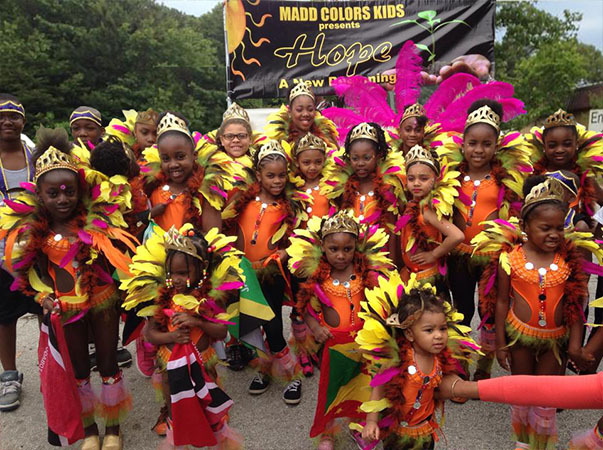 That same year we decided to expand the Madd Colors brand to Houston Texas to participate in the Houston Caribbean Festival aka Houston Carnival. Once again our masqueraders made us proud, and after all the fun and festivities on the road, we won first place in the t shirt category. It was then obvious...Houston was now our second home. 2011, was a defining moment in the ‘Madd Colors saga’ Pushing our creative abilities to the limit, and reaching beyond the imagination and expectation of all, we endeavored into the art of costume making, resulting in three sold out costume and T shirt sections. Not only did we produce our first costumes, but for the first time in Atlanta Carnival history merged a paint section, to our popular T Shirt mas. What once was ‘merely a T shirt band’, as some critics would put it, was now a full blown carnival experience. 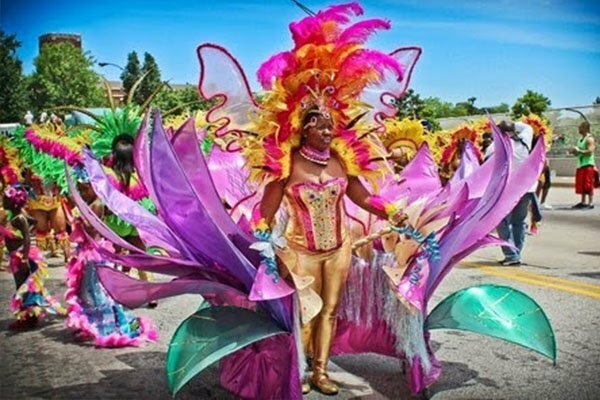 We was now a one stop shop for everything mas related…Costumes, T shirts and Paint…The good, the Madd & the ugly, as our theme that year was appropriately named. 2010 confirmed what the streets was saying. This new band was quickly becoming a movement of sorts. That year we grew even larger, and over 150 of our masqueraders took to the streets. Always striving to make the carnival experience an exceptional one for our people, we ventured to do what no other band was doing at the time. Not only were we going to entertain our masqueraders with live Djs, but we decided to bring in live performers as well. Our masqueraders was electrified by performances by well known Soca artists such as Tallpree and Baba Shanta, and reveled to the music of some of Atlanta’s top Djs. 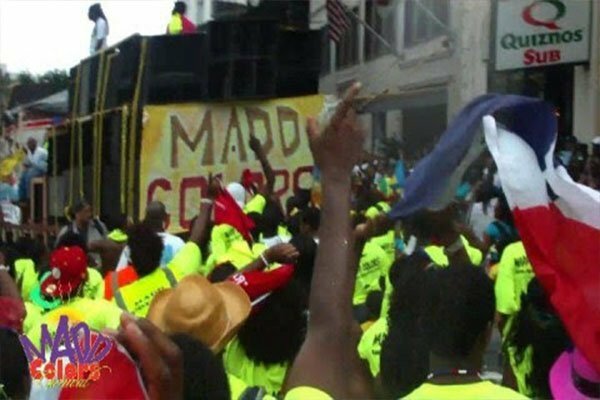 Our 1st year for Atlanta Carnival 2009, Madd Colors brought over 100 members on the road, becoming the number one T Shirt band in Atlanta. As our masqueraders stomped, jumped and waved their way through the streets – rain and all, it became obvious…This wasn’t just another regular carnival band. We had made a lasting first impression, and the word was officially out. 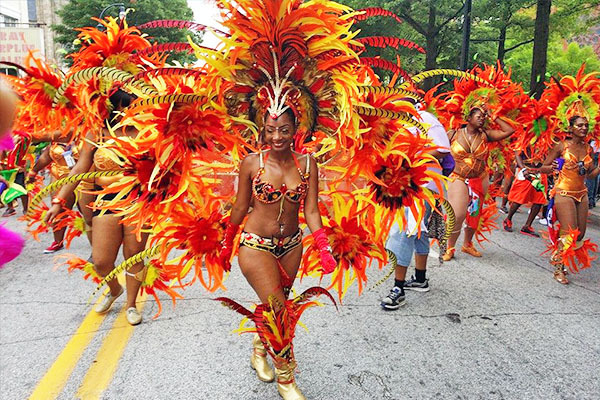 Atlanta Carnival was never going to be the same again. Little did we know that one spontaneous idea among friends, in a moment of drinks and laughter would quickly grow into an extended family of fun loving, creative, free spirited people from all walks of life.